Shortlisted for the Inaugural International Political Economy Group annual book prize, 2006. An incisive exploration of the interventions of the World Bank in severely indebted African states. Understanding sovereignty as a frontier rather than a boundary, this key study develops a vision of a powerful international organization reconciling a global political economy with its own designs and a specific set of challenges posed by the African region. This analysis details the nature of the World Bank intervention in the sovereign frontier, investigating institutional development, discursive intervention, and political stabilization. 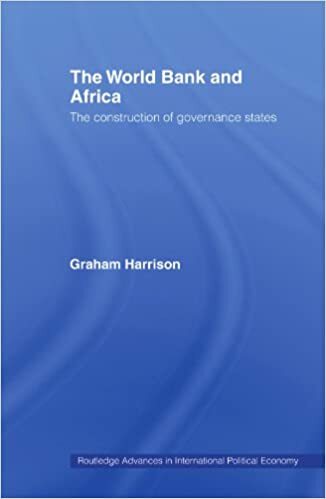 It tackles the methods by which the World Bank has led a project to re-shape certain African states according to a governance template, leading to the presentation of 'success stories' in a continent associated with reform failure. This conceptually innovative book details a political economy of the World Bank in Africa that is both globally contextualized and attentive to individual states. It is the only volume to look at the bank's relations with Africa and will interest all students and researchers of African politics and the World Bank.